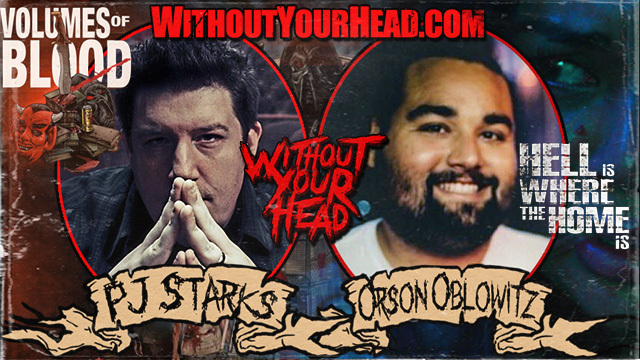 PJ Starks & Orson Oblowitz LIVE tonight! Director and producer PJ Starks returns LIVE tonight 8E/5P to discuss The Volumes of Blood franchise and more! And, director Orson Oblowitz joins us to talk about his new film in the festival circuit now Hell is Where The Home Is!